Over the past decade, the Nordic countries have firmly established themselves as literal forces of nature in the world of fine dining. Their distinctly Nordic cuisine embraces the principles of going back to nature, focussing on fresh and local ingredients and experimental cooking. Let’s take a look at some of Oslo’s best and most popular fine dining options, where a distinctly Norwegian culinary culture meets European fine dining. It is worth noting that many of these restaurants actually offer very good deals for fine dining experiences considering the slightly higher prices of restaurants in Oslo and Norway compared to many other countries. Featured image by Moyan Brenn. 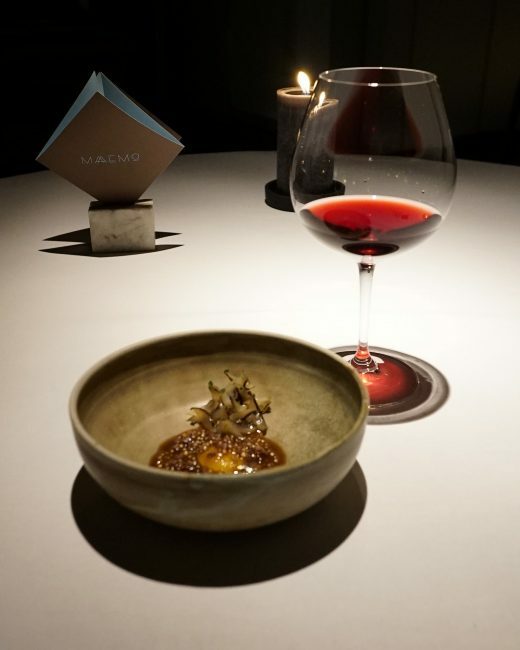 No restaurant guide to Oslo is complete without a mention of Maaemo, the first restaurant in Norway to be awarded two Michelin stars in 2016. It gained a third one in February 2017. With the Danish chef Esben Holmboe Bang at its helm, the restaurant has won award after award and developed a distinctly Norwegian menu, mixing ancient food and techniques with modern-day finesse. The food is made only from organic and natural ingredients that can be found in Norwegian nature. It is the perfect place to taste the very best meats, seafood, poultry, vegetables, berries and herbs that Norway has to offer. The menu is constantly changing and staff members are encouraged to put their own spin on dishes. Maaemo is extremely popular and booking in advance is a must (think a few months ahead). This restaurant has one Michelin star and gives an intriguing insight into the Norwegian kitchen. Diners have a choice between a 13-course tasting menu, a 4-6-course menu and single dishes. All the courses are made with the best Norwegian ingredients and the food always reflects the seasons. Statholdergaarden’s beautiful historical setting makes for a very distinct atmosphere. The building in the old city centre is one of modern Oslo’s oldest, dating back to the 17th century when it used to be the seat of the Danish king’s illegitimate son who governed Norway in his absence. The ceilings inside the restaurant have some of the finest stuccowork in Northern Europe. Note that the kitchen closes for new orders at 9:30 PM. This modern Scandinavian gastro bistro works within the seasons to create fresh, exciting and delicious menus and dishes. The menu is based on whichever ingredients their farmers can supply them with each day. The main aim of Kontrast is to provide world-class organic and ethically-sourced ingredients from Norway and to showcase the farmers who produce them. Kontrast offers an à la carte menu from which it is possible to order small and medium-sized dishes to create your own menu. The more traditional 6- and 10-course tasting menus are also available, and for groups of six or more, there is an option of two set menus. Kontrast was rewarded for its originality with a Michelin star in 2016. Dessert of white asparagus, seabuckthorn and almonds. Restaurant Eik has, for many years, been recommended in the Michelin Guide’s Bib Gourmand category for “very good food at moderate prices,” and it certainly offers that with a three-course menu costing 395 NOK, which is very reasonable for Oslo. They currently serve three-, four- or five-course menus. The food is constantly changing with the seasons and available produce, making every visit there new and exciting. The food is served in a lovely, relaxed room with an open kitchen and many interesting decorative details to admire. It is situated on the corner of Hotel Savoy across from the National Gallery and is connected to the Savoy Bar at the hotel. The staff are on hand to provide the best possible experience and to ensure that the restaurant remains one of the most popular in Oslo. Oslo’s original city hall from 1641 is now the historic setting for this fantastic restaurant. It is just next to Akershus Fortress and is the perfect place to unwind with some Norwegian specialities after a day spent exploring Oslo’s sights. 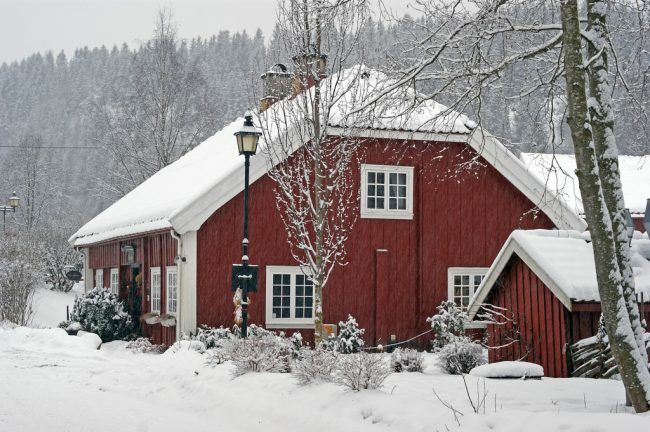 The restaurant is well known for the wintry lutefisk, cod and other excellent fish and game dishes, as well as the fact that it has stayed true to its Norwegian heritage. It also boasts an abundant wine list in all price categories. During the summer, the doors are opened up to Raadhusgaarden, the quaint backyard, for lunch and dinner. 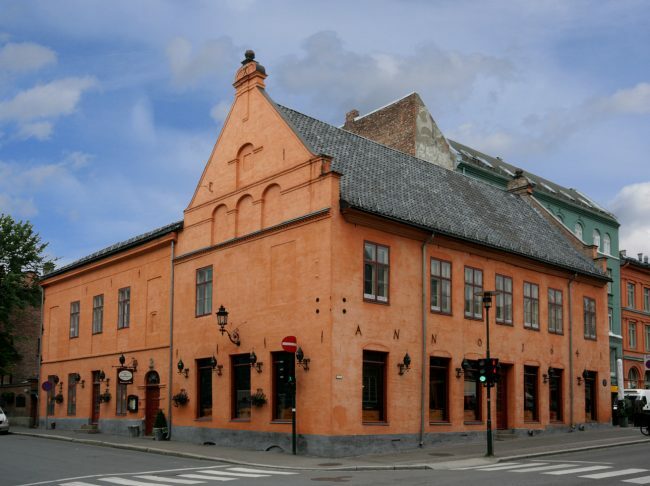 This is the oldest restaurant in Norway, having served food since 1640 when it was a hot spot for the local workers. It is a little further from the city centre, but easily reachable by public transport. Today, Værtshuset serves classic Norwegian dishes based on the food that would have been eaten by the well-to-do in the 1800s. The food is an exciting combination of Norwegian produce (fresh, pickled or smoked) as well as foreign foods that would have been coming into the country in the 1800s. They are open for lunch as well as dinner. The restaurant closes at 8 PM during holidays. Fish and Norway go hand-in-hand and for foodies, a taste of local seafood should be high on the list of things to do in Oslo. At Lofoten Fish Restaurant, named after an archipelago with age-old fishing traditions in northern Norway, they have made wonderful things from the sea their speciality. Only the best and freshest produce is used and the maritime menu is of an extremely high standard. Their philosophy, charmingly, is to awaken the senses and ensure that your stomach is satisfied. Enjoy the exquisite food at the old docks at Aker Brygge just next to the sea. This à la carte restaurant inside the beautiful Opera House offers a fresh, seasonal menu for which both tradition and innovation play important parts. The best produce and exciting tastes come into their own in a relaxed atmosphere with great views of the fjord, and when the weather is good, you can get even closer to the water when the restaurant opens up its terrace. You can unwind here before or after a performance or simply take in the breathtaking building and all it has to offer. The restaurant should be contacted beforehand if you want to book a table for nine or more people.